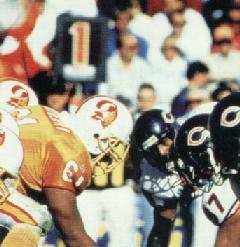 BUCS: Dilfer 4-35, Rhett 12-33, Edmonds 1-7, Ellison 1-1. BEARS: Salaam 27-134, Conway 1-20, Tillman 5-18, Kramer 2-1. BUCS: Copeland 6-92, J Harris 4-24, Hawkins 3-49, Harper 3-29, Thomas 3-18, Armstrong 2-10, Rhett 1-4. BEARS: Conway 8-88, Graham 5-102, Carter 4-39, Timpson 1-13, Gedney 1-7, Salaam 1-7. BEARS: Minnifield 2-0, Cox 1-1. BUCS: Ellison 5-101, Edmonds 1-14. BEARS: Timpson 2-36, Lundy 1-11. BEARS: Smith 1-8, Spellman 1-5. 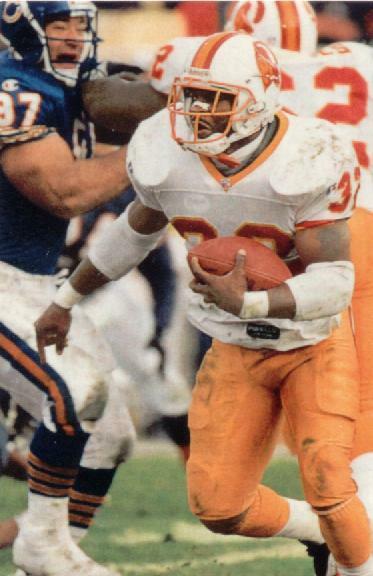 The Bucs' first play was a Trent Dilfer interception that led to a Bear touchdown on the very next play and the game went downhill from there for the orange and white. 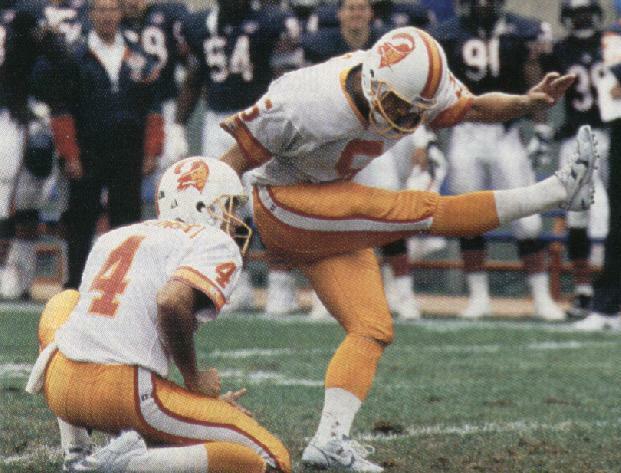 Trent threw one of his four TD passes on the season to Horace Copeland and Michael Husted bounced a 50-yard fieldgoal off the crossbar, but 173 yards on the ground by the Bears enabled them to control the clock and end the Bucs' slim hopes of the post-season.